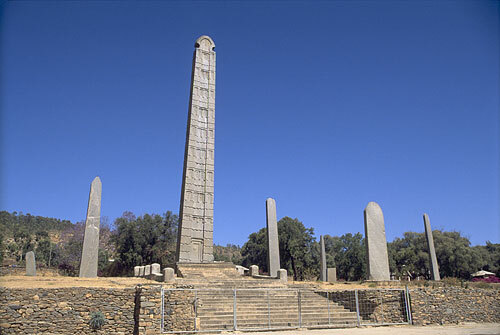 Also known as Rome Steel, the Obelisk of Axum is a 24 meters tall obelisk. It has door and window decorations. It was probably made in the 4th cetury in the ancient Kingdom of Aksum. Over the time, the obelix were broken down into three pieces. In 1935 it was found and taken by Italian soldiers. Back in Italy it was repaired. It was returned to Ethipoia in three pieces between 2004 and 2005. In 2008 it was finally re-erected in it's original position, where it now can be seen.